Las Vegas is a city in a desert. The midday sun beats down through a cloudless sky, but the harsh shadows can make for interesting silhouettes. Also, apologies for the posting delay. Blogger had some issues between yesterday and today. 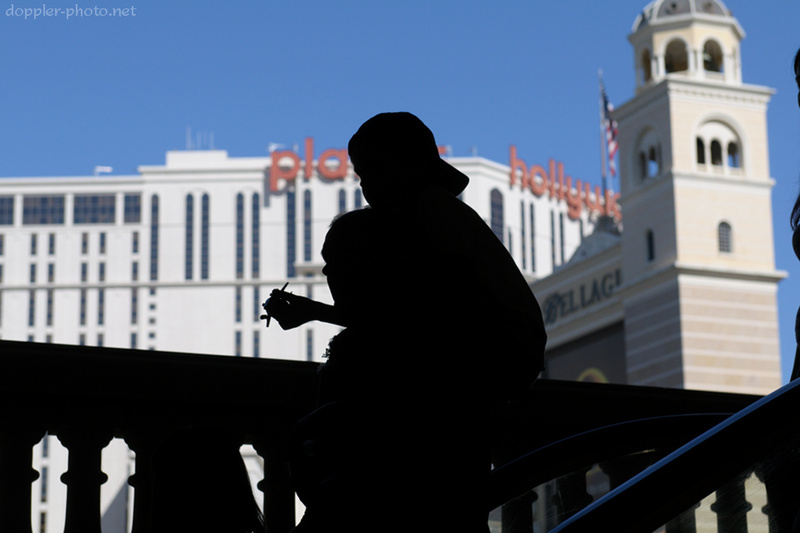 A boy holding a model plane sits on his father's shoulders as the two head down an escalator in the direction of the Bellagio hotel. 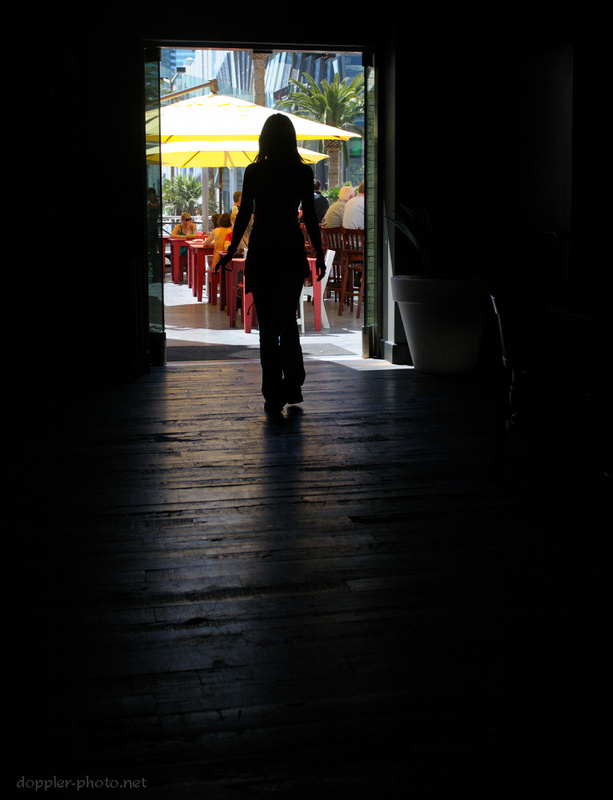 A waitress walks outside at the PBR Rock Bar and Grill, where we had lunch on Thursday.